There are two instrumental jazz ensembles at Union. Jazz is a great way for students to expand their musical horizons and learn about America’s original art form! 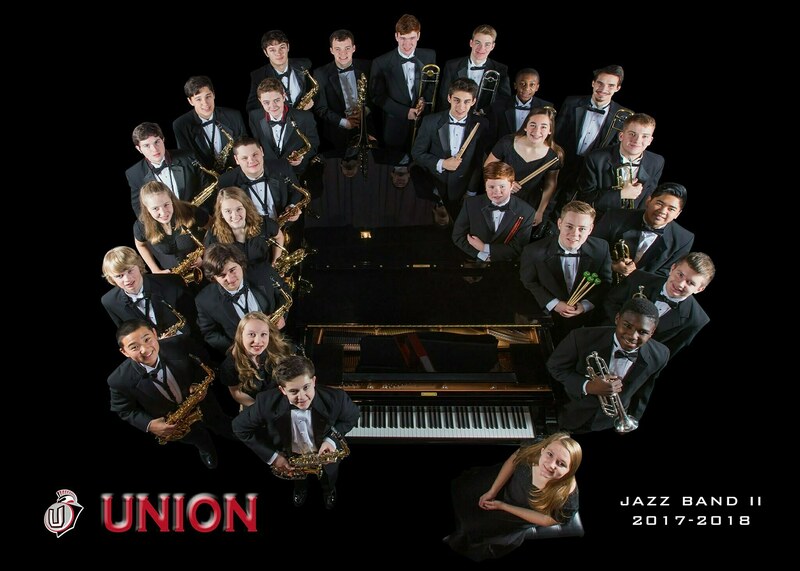 Jazz ensembles 1 and 2 meet before school at 7:30 as 0 period classes, with Jazz Ensemble 1 meeting daily and Jazz Ensemble 2 meeting 3 days per week. Jazz Ensemble 1 is for the study and performance of advanced jazz big band standards. Challenging music, frequent soloing, and regular sectionals and practice are an expectation for ALL members of Jazz Ensemble 1. 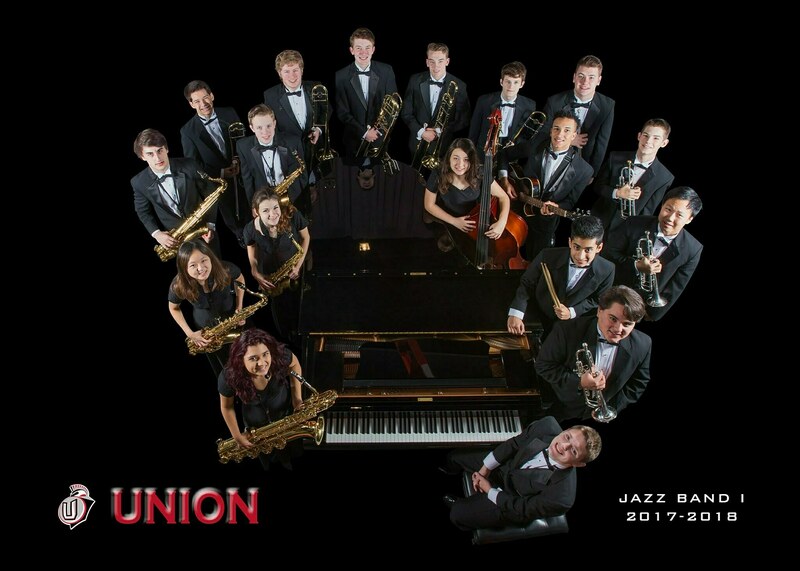 After school rehearsals, workshops with jazz experts like Professor Chris Bruya from Central Washington University, and a variety of required performances will occur throughout the year. Jazz Ensemble 2 is for the study and performance of intermediate jazz works, as well as building a foundation of the jazz concepts of swing, chord changes, mambo and samba, and improvisation. Soloing is encouraged for all members, and members perform at a few competitions throughout the year. 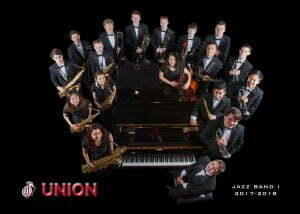 Jazz Ensembles are open to all Union band students. Auditions are required for Jazz Ensemble 1 while Jazz Ensemble 2 is open to any Union band student. Standard instrumentation is used for the ensembles. Audition processes for Jazz Ensembles 1 and 2 are held the second week of school. All students interested in being in a jazz band should sign up for Jazz Ensemble 2 until auditions occur. Students must be enrolled concurrently in another band or percussion class to participate in the jazz program. Standard Concert Dress is required for Jazz students.